This is a topic I don’t particularly want to write about. In fact, I wouldn’t be surprised if whatever comes out here gets dutifully apportioned to the recycle bin. It’s a topic I don’t like, and don’t even want to attend to, which in a way makes it more important for me to write about and look at it. The topic is “surrender,” that decidedly un-American trait. We are a society of the self sufficient, a culture of the manifestly destined, and I find myself fully identifying in that way. Not that it may come as a surprise to many of you, but I am noticing just how independent I can be, and how powerful that drive is. In many ways, my self-reliance has worked well for me, for I have developed many capacities and also learned to trust in my ability to deal with just about any situation as it arises. There is something, however, about relationship, and perhaps life in general, that calls for surrender. 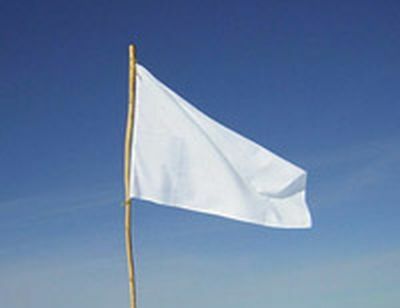 It doesn’t have to be a “raise the white flag” surrender but rather a surrender in trusting an outside entity. While I have a fairly deep grounding in basic trust, in trusting that my needs will be provided for and that I won’t fall destitute by the wayside, I don’t necessarily believe that any individual can fully be relied upon, and thus I’ve come to depend largely on myself. When I first started exploring this, I thought there was a fault in my capacity to trust. While there may be come truth to that perspective, what I’m starting to see however is that the world and all of it’s inhabitants may simply be imperfect and that in fact nothing can be fully and completely relied upon. This isn’t necessarily a defeatest perspective, as it may simply be based in reality. Yet the question of surrender remains: How does one surrender to and within an imperfect world, a world that can’t fully be relied upon or completely trusted? One possibility is based upon the recognition that it may simply be unrealistic to expect some form of perfect mirroring or atunement from the outside world. As we integrate this recognition, perhaps we can learn to accept the imperfection of the responses we receive and thus not try so vigilantly to avoid them. Another possibility is a little more spiritual in nature and involves the recognition of the perfection which inherently and naturally resides within everyone and everything. Of primary importance within that recognition is that everything and everybody are perfect exactly as they are, simply because they are exactly as they are. 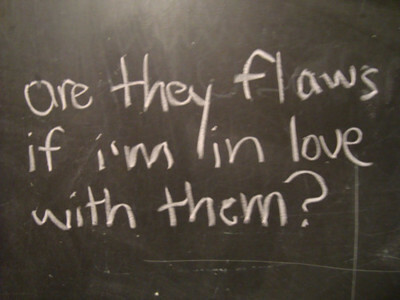 This “existential perfection” theory is built around the acceptance that everything is perfect exactly as it is, with you and I being no exceptions. Arguing anything else would be to quarrel with reality. Of course, this doesn’t mean we can’t try to work towards a more just world, or self-improvement, or bettering our relationships, but those drives wouldn’t be born from faultiness, but simply a drive of love, a love which wants to express itself through betterment or movement towards an ever-evolving perfection of the universe. How much easier it would be to surrender if we could see everything as perfect exactly as it is. I would gladly give myself over to that. Not only would it ease pressure on our life situations and relationships, but it would also ease the pressure we place on ourselves, since for most of us, we hold ourselves to one degree or another as something faulty requiring of improvement. Such a relief it would be to sincerely be able to say, “I may want to improve, but I am already perfect exactly as I am,” or this: “I can love you unequivocally now, in the perfection of you as you simply are.” Now that’s surrender. In terms of evolution, the first time a new genetic attribute arises could be seen as a flaw. Or, alternatively, as a new perfection presenting itself as a culmination of everything that came before and in its own time. Did you know that those beautiful stripey tulips are the result of a “flaw?” Those wild and wonderful stripes are caused by the imperfection of a virus in the tulip bulb.